Jomo Sono at a South African Football Associations meeting. Taurai Maduna/ Eyewitness News. You don’t have to subscribe. You just buy data, click on the link and watch whatever you want to watch… We get revenue only from advertising. [When does it start?] Today! 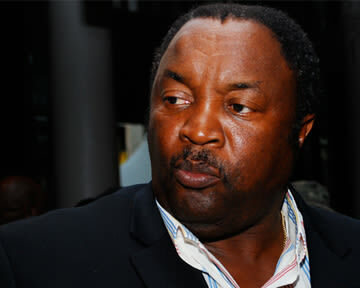 South African soccer legend-of-legends Jomo Sono is launching a free streaming service – called TV2GO - in South Africa with more than 100 channels. Sono’s Infinivy SA owns 26% of TV2GO with Israeli company Cast-TV owning the rest. Infinivy SA and Cast-TV are targeting 500 000 viewers within a year. Ray White (in for The Money Show’s Bruce Whitfield) interviewed Sono.